No book in Jewish history has been illustrated more often than the Passover haggada. Signs and Wonders: 100 Haggada Masterpieces is the first work to survey the magnificent history of the illustrated haggada, from the Middle Ages to the present. Focusing on the finest examples from the past seven centuries, the book reproduces each picture in full color, alongside short descriptions that explore the meaning of the imagery, the achievement of the artist, and the larger context in which the book was produced. 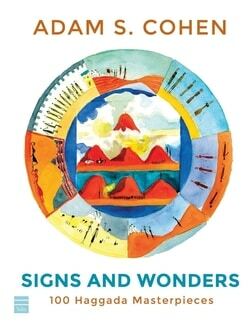 Wonderfully written and stunningly designed, Signs and Wonders brings its masterpieces to life, presenting a rich panorama of Jewish art throughout the ages.